North East Monsoon after a brief hiatus is back and roaring, its reverberation heard loud and clear all along coastal TN and few adjoining areas of the state. The stage is set for southern areas of the state to be regaled with the monsoon resonance turning more vocal in the next few days. The trough of low over Southwest bay & adjoining Sri Lanka will ensure serene monsoon melody and its flow over the said region. Scattered showers will continue all across coastal TN and interior districts too are in line to join the band wagon. Meanwhile, all eyes are on the Malay peninsula for development of a significant system from the current trough of low. This will require further monitoring as things evolve. 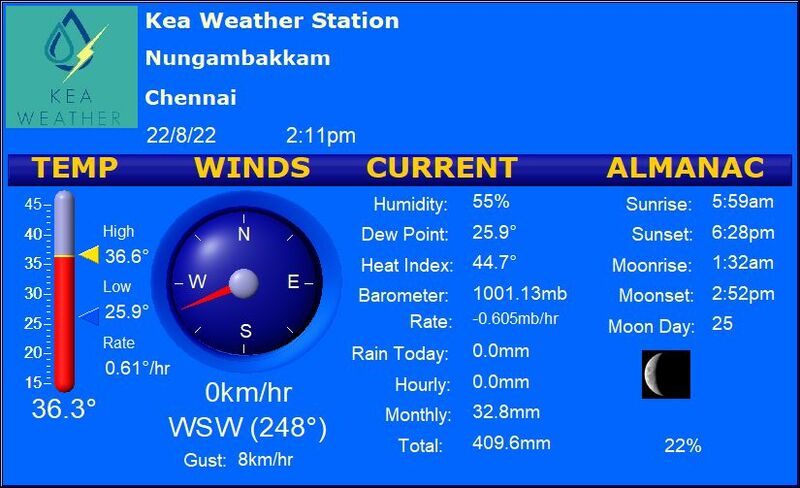 Chennai – A comfortable and cozy morning with plenty of clouds around. Scattered showers a possibility. Day highs will hover around 30 degrees. Coimbatore – Periods of clouds and sun with a slight chance of rain over the area. A day max of 31 degrees on cards. Madurai – Overcast and gloomy. Precipitation chances around 70%. Day highs expected to stay around 30 degrees. Trichy – Mostly cloudy with few thunderstorms possible over the region. A day max of 30 degrees. Vellore – A balmy morning in store. Periods of clouds and sunshine. Day high of 30 degrees expected. During the 19 year period ranging 1947-1965, there was no excess rainfall recorded in Tamil Nadu, during the North East Monsoon season. This is the lengthiest period when excess is not reported during NEM, termed “Epoch” by meteorologists.